Poetry In Slow Motion – Behind-the-scenes documentary on Midway bringing the style of John Woo to video games. 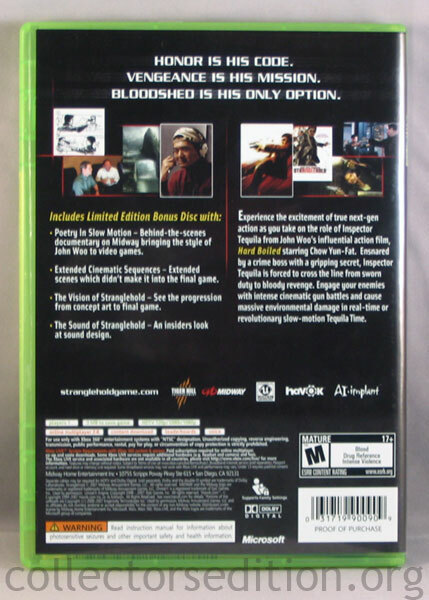 Extended Cinematic Sequences – Extended scenes which didn’t make it into the final game. 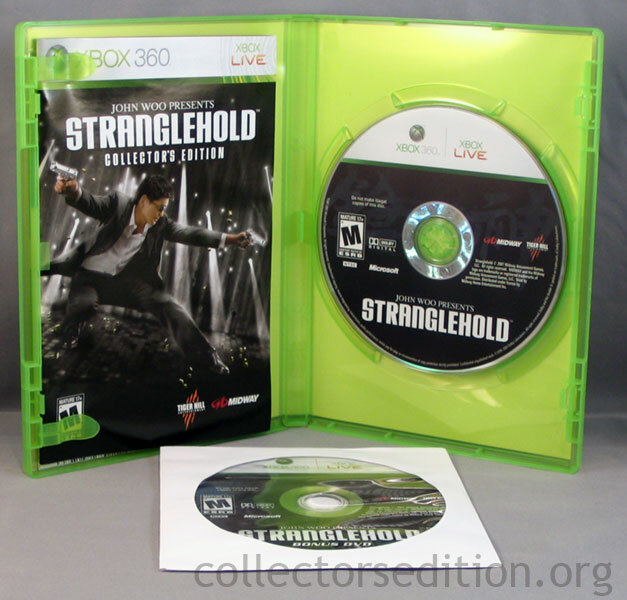 The Vision of Stranglehold – See the progression from concept art to final game. 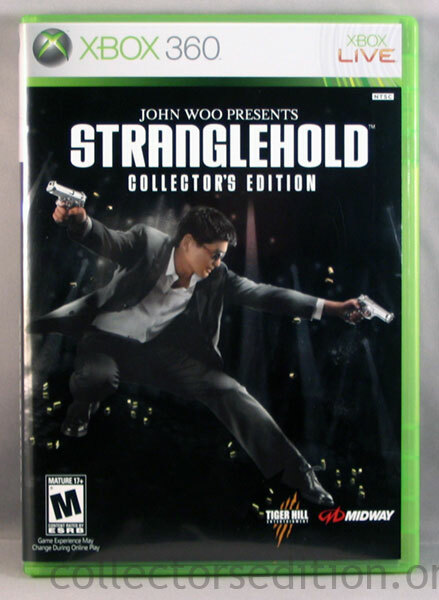 The Sound of Stranglehold – An insiders look at a sound design. This entry was added to the database on Wednesday, February 27th, 2008 at 10:23 am by Michael Pica. This information was last updated on Thursday, March 19th, 2009 at 10:56 am by .